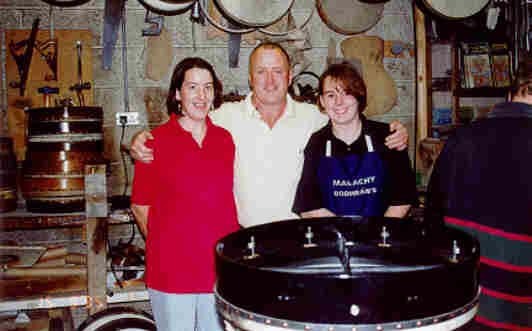 I hope you enjoy these pictures, they were taken at Malachy's Workshop in Roundstone. Adding the finishing touches to the rim . 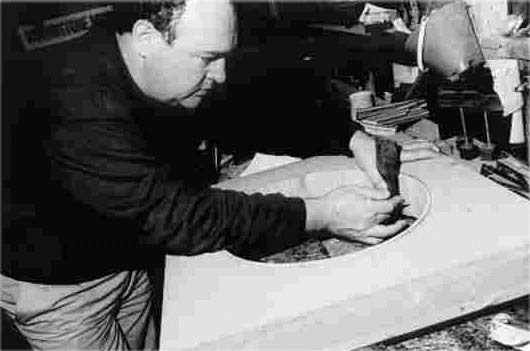 John adding detail to a Celtic Design. 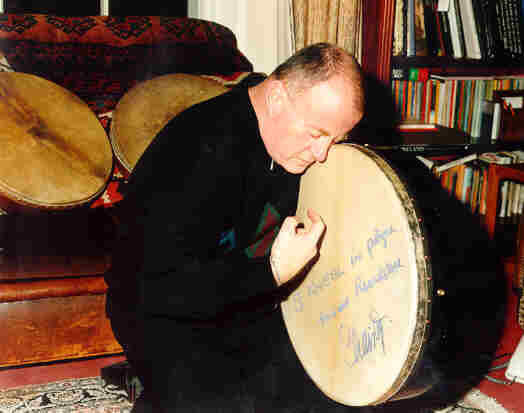 Christy Moore meets the Roundstone Music gang (24k).